Aquatica, SeaWorld’s Waterpark hosted the World’s Largest Swimming Lesson this month. Aquatica Orlando was among 900 aquatic centers, pools and waterparks that hosted a swim lesson to help break last year’s world record of 36,564 lesson participants and help save lives. U.S. Olympic Hall of Fame member and three-time Olympic gold medalist, Ambrose “Rowdy” Gaines was onsite to lend a helping hand with the lesson. “Today was a great day and I was happy to offer a helping hand and kick-off today’s lesson. The goal of this event is to draw attention to accidental drowning’s and to encourage swimming lesson programs,” said Ambrose Gaines. Disneyland Paris proudly presents the details of its Inaugural Half Marathon Weekend event scheduled to take place on September 23-25, 2016. 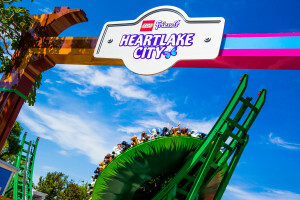 A day ahead of its official opening, LEGOLAND Florida Resort offered media an exclusive preview of its newest land, LEGO Friends Heartlake City. The theme park’s newest expansion is based on the popular LEGO Friends product line and is closely modeled after the five LEGO Friends characters: Olivia, Stephanie, Emma, Mia and Andrea. Mia’s Riding Adventure is a brand new ride themed around Mia’s love of horses. This adventurous ride seats up to 40 passengers on a circular platform with outward-facing horse shaped seats. The disk spins in circles while traveling forward and backward on a wide U-shaped track. Guests can take their taste buds on a mouth-watering safari with a visit to Zuri’s Sweets Shop at Disney’s Animal Kingdom. This new merchandise location at Harambe Market in the Africa section of the park offers an assortment of wild new treats and eats. 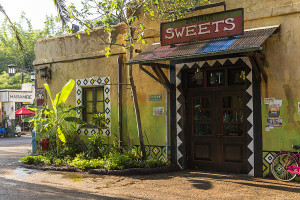 Zuri’s Sweets Shop features 80 exclusive food items inspired by the sights, sounds and flavors of Africa. Guests can purchase themed decorative candy apples, assorted bulk trail mixes, uniquely flavored chocolate bars and delectable popcorn with a touch of African spices. Guests with a taste for barbeque also can find the signature sweet and spicy sauce from the park’s popular Flame Tree Barbecue. This unique location also includes a colorful confectionary case filled with a variety of candies and baked treats. Guests with a sweet tooth will be thrilled to find tiger-shaped sugar cookies, elephant-shaped caramel apples and colorful giraffe marshmallow pops alongside Disney confectionary classics, such as Mickey Mouse chocolate chip cookies and tasty chocolate fudge.